Working with us will be a little like hiring a personal trainer – but for your finances. You won’t procrastinate, because you’ll finally be on a supervised program and have an accountability partner. We are fee-based financial planners interested in working with people who are serious about making sound financial decisions for the long term. We offer three levels of service. Foundational analysis is suitable for clients who seek a very basic review. Our comprehensive planning services provide a thorough analysis of every part of your personal finances. 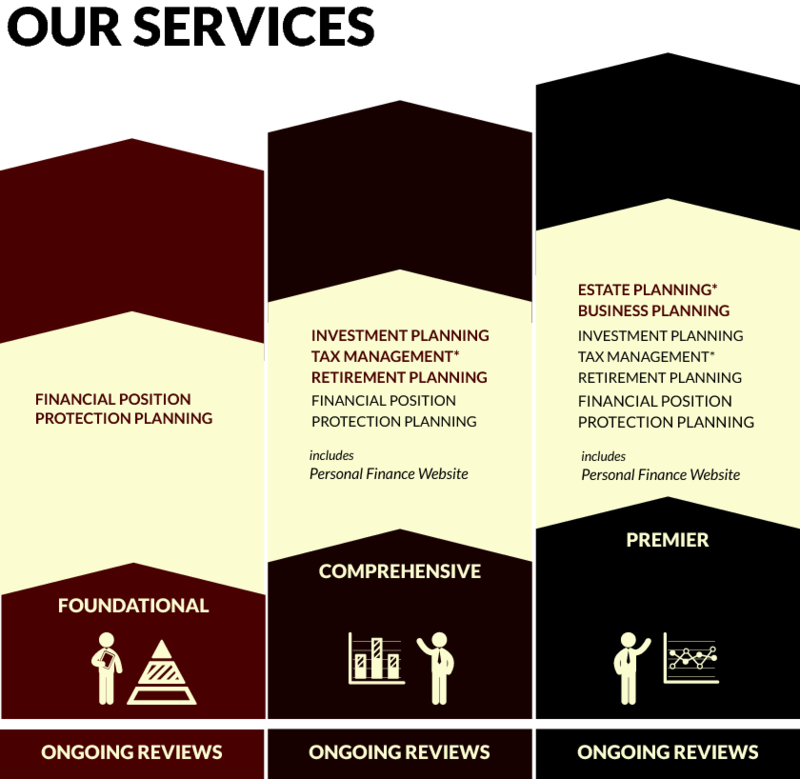 Premier services are suitable for business owners and clients who need assistance with estate planning strategies.